The man in this story was so huge that people called him a giant. But he wasnt fierce or mean like some giants. He liked to do kind things to help anybody who was in trouble. 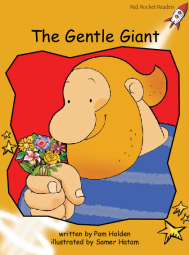 Thats why he was called the Gentle Giant.